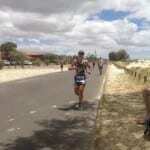 We had a small contingent of athletes travel to Busselton to compete in this year’s IM race. 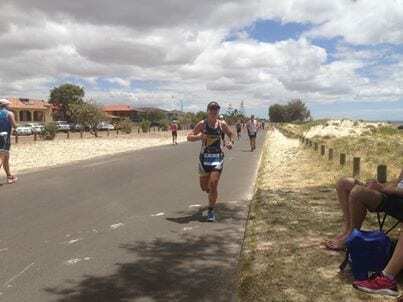 Krista Page, Rowan Foster and the super couple, Marjorie and Johnny Van Royen all raced extremely well, walking away with pb’s. Fortunately the conditions were quite good for racing with low tempratures and a lighter wind than most years. However an IM regardless of the course or conditions is a tough day out. Krista Page breaks all the rules when it comes to IM. She has a body and a mindset that copes with the rigours of IM training and racing and incredibly well. She just loves to race IM events and we have no doubt that she will do so for years to come. More importantly with every event she gets faster. This year she set a pb of 11.42 which was 1hr 10 mins quicker than Busso last year. 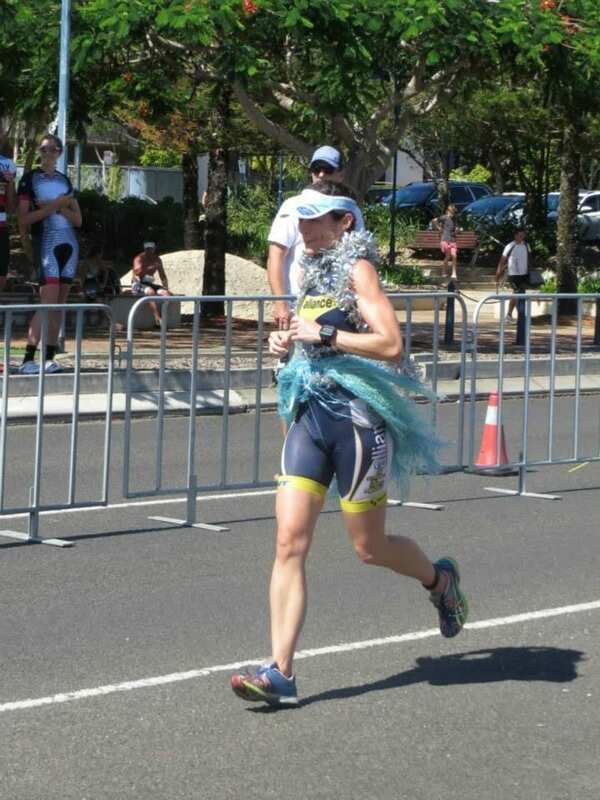 Racing the 40-44 age group this placed her 13th and she now has her sights set on going even faster at IM Melbourne. 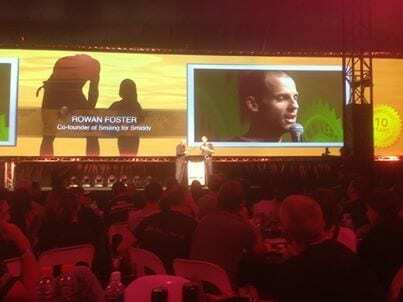 Rowan Foster has had some time away from triathlon having raced his last IM event 4 years ago. In that time he still did some cycling and it wasn’t until earlier this year that he got the triathlon bug back again and started swimming and running. Racing in the very fast 30-34 age group he did a 9.32 which was a 34 min pb and good enough for 13th place in the age group. Marjorie and Johnny Van Rooyen have been long time members and are extremely popular within the squad. They truly embodie what the sport is all about, always smiling, encouraging of others and balancing family, work and training very well. Both had some major disruptions leading into the race with Marjorie unable to run for the last 2 months due to a hip injury and Johnny breaking a rib in a work accident a few weeks before the race. 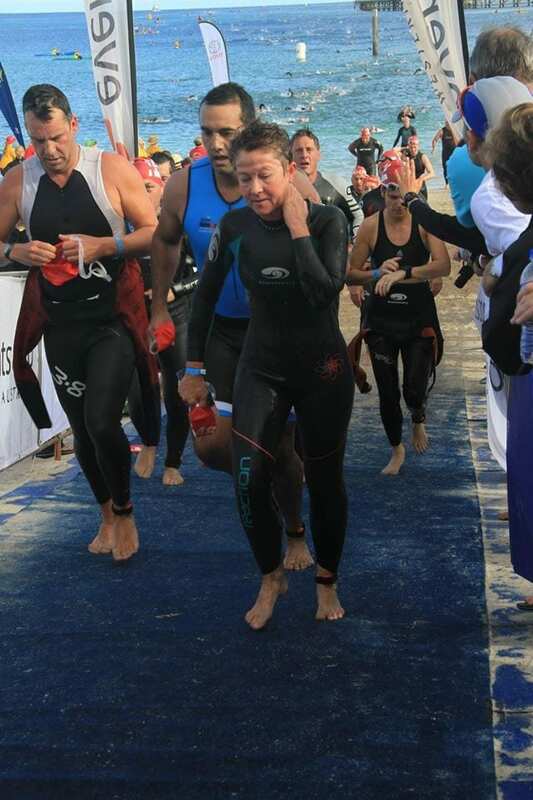 On race day Marjorie was only ever doing the swim and bike due to her hip injury and for Johnny it was a real unknown how the rib injury would effect him. 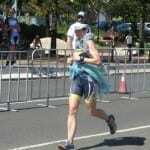 Again they showed what a positive and relaxed attitude can do with pb’s despite now being in the 50-54 age group. Below is a breakdown of their improvement since they first did an IM many years ago. However for them it is all about the experiences and the enjoyment of training and racing. 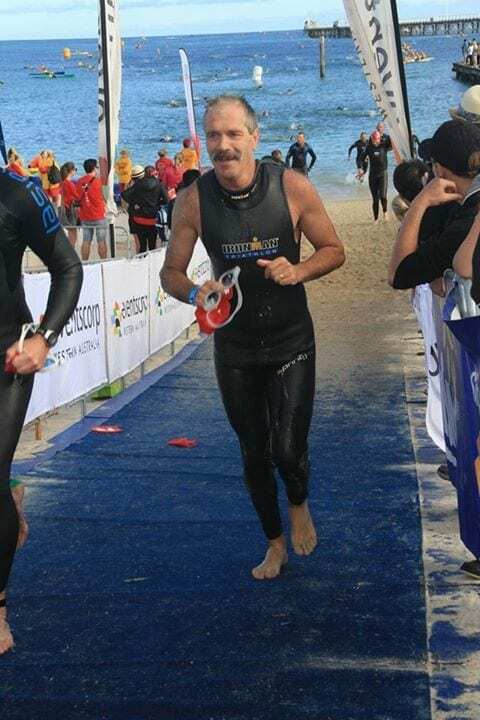 Congratulations also to former TAQ member and now Perth local Simon Prebble who did his first IM at Busso crossing the line in just over 11hrs. Last Sunday at the Raby Bay QTS event we had two Try the Tri courses finish their 6 week program with the last QTS race of the year. Of the 32 people finishing the course 20 actually did the 750/20/5 race which is a great achievment considering many were doing their first ever triathlon. Now that they have done the course they will transition into the squad program and focus on future events. As we do after every course finishes the night after is a goal setting session at Shoes Feet Gear and then Pizza for dinner. Along with the first annual Tri Alliance handicap club challenge it was a great morning and perfect way to finish the year. Some members really got into the festive spirit also. Thanks to our great sponsors at Shoes Feet Gear for providing some prizes to give away on the day. Kosama Fitness www.kosamafitness.com.au at the Homemaker Centre in the Valley are a great new facility that provide up to 25 classes per week all aimed at improving overall strength and conditioning. We will now be working with the team from Kosama to provide specific functional strength programs for Tri Alliance Qld members. 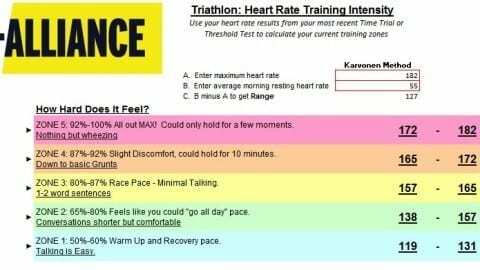 Ensure you put Tri Alliance in the drop down menu when completing the form.If you are looking at taking your performance to the next level then this 8 week program will certainly help do that. Course numbers are limited so if you are interested sign up before it fills up. Stacey Bolton from our Gold Coast squad has registered for the run down under and is after more Tri Alliance Qld members to join her for the 12 month challenge. We are at that time of the year where we start reflecting on the year past and look forward to our exciting triathlon goals for 2014! Since we all have running as part of our training I thought it would be interesting to see how many km’s we can clock up over the year and have registered Tri Alliance as part of the Run Down Under Challenge. 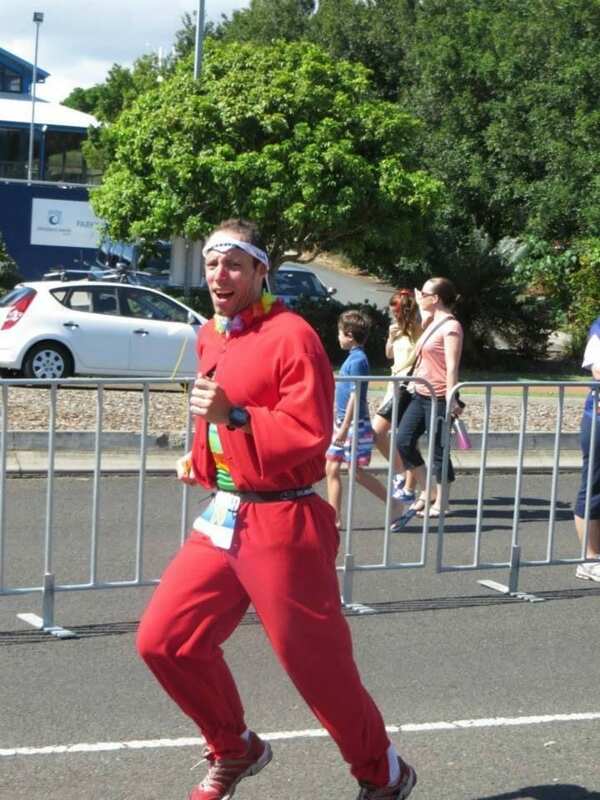 Go to http://www.corporatechallenge.com.au/fun-runs/run-down-under and enter as an individual. Select Tri Alliance from the club name drop down box. Pay the registration fee of $55. In return, Run Down Under will provide you with a race running hat, event singlet, weekly updates and results, monthly prizes and competitions, memento’s every time you reach a major city (8 to collect in total on your journey Down Under), sponsors prizes and offers and even the opportunity to win $200 CASH as part of the Clubs Challenge. If enough people from Tri Alliance join, we will also have our own club prizes. Check each week, month and at the end of the Year to see how our Club went against other clubs from around Australia! 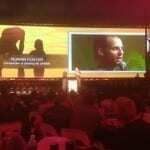 We have some exciting new initiatives on the agenda for 2014. 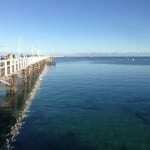 Firstly we will be launching our Sunshine Coast squad in early February which will be based out of the Maroochydore/Mooloolaba area. This is something we have been working towards for a few months now. Full details will be released in the new year but we have secured a pool in Maroochydore and have a couple of great coaches to facilitate sessions. The official launch will be on the weekend of the Caloundra QTS race. Stay tuned for coach profiles, the training program and session locations. Additionally our junior program on the Gold Coast and Brisbane will also launch in the new year. We have entered into a partnership with City Aquatics to run junior triathlon programs out of their pools. Initially the programs will be based out of Helensvale and Miami pools on the Gold Coast and Colmlsie in Brisbane. Again this is something we have also been working on for some time. 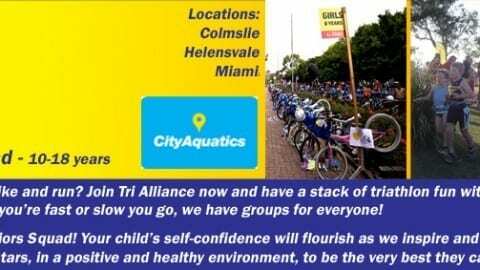 To be working in conjunction with City Aquatics is very exciting as it will give Tri Alliance Qld junior members the opportunity to swim at numerous venues in South East Qld. There will be some minor changes to the training schedule in Brisbane and on the Gold Coast and once we have finalised these we will let members know. 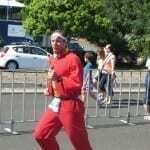 The main change at this stage is the Thursday night run in Brisbane will go back to Thursday mornings from 5.30am. As always there will be more training camps, try the tri courses, run technique courses, Smile for Smiddy rides/fundraising and new members joining the squad. The past year has been a big one and 2014 promises to be even bigger. We would like to wish everyone a happy and safe season. We look forward to seeing everyone back in 2014 raring to go for the new year.